What does PQQ stand for? Pyrroloquinoline quinone. It’s similar to Coenzyme Q10 (CoQ10) in that it’s found within the mitochondria of your cells and supports the energy transfer process which occurs there (1). Is PQQ a hoax? Is it worth it? Well unlike the many (or most) dietary supplements which do not contain substances normally found in the human body, both PQQ and CoQ10 are compounds which are in your body right now as you read this. In fact, both CoQ10 and PQQ are found within every cell of your body – all 37.2 trillion of them (2). Where is it found the most? 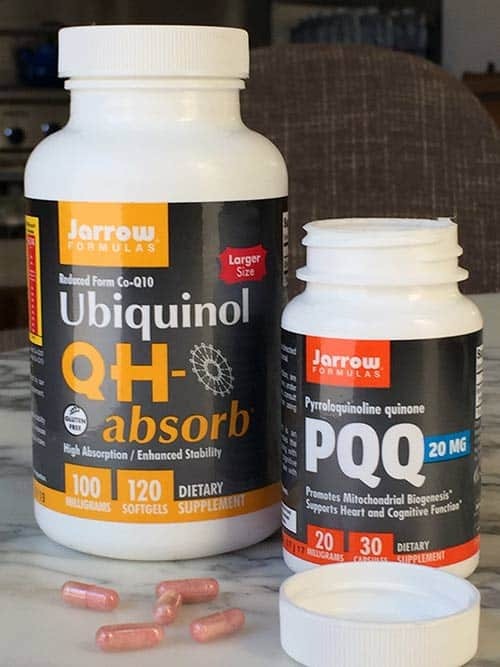 As far as where PQQ is found in your body, similar to CoQ10, the highest concentrations are in the power centers of our bodies, those which require the most energy; vital organs like the heart, liver, kidney, spleen, pancreas, and lungs. There are also high amounts in the brain, but measuring those levels in real time or over prolonged periods of time is not easy to do in living humans, for obvious reasons. 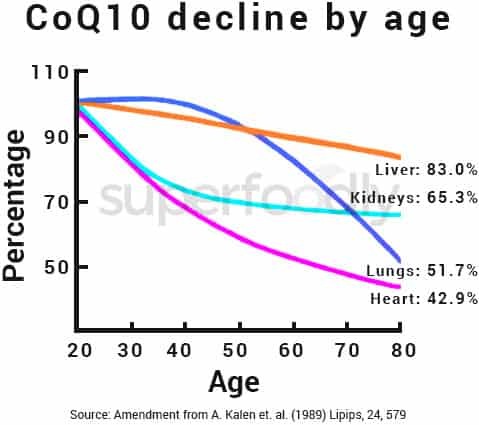 This chart shows the decline of CoQ10 as we age. Production peaks at around the ages of 19 to 21 and then it’s all downhill from there. The total amount in a human body at peak production is estimated to be somewhere between 500 and 1,500 mg at any given time (3). This is why dietary supplements containing it typically have a 50 to 200 mg dosage per capsule. 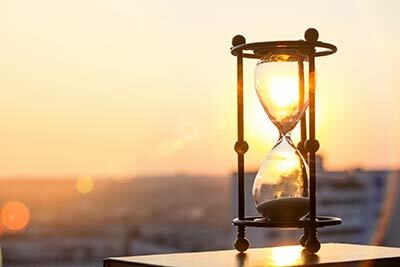 Is it only a coincidence that we tend to be at our peak health – ranging from physical ability, to stamina, to even cosmetic appearance – at around that same age range? (Beauty is in the eye of beholder and personally we believe you can be 18 or 80 and look awesome, rather we are only referencing the cultural consensus here.) Perhaps future research will be able to answer that question. 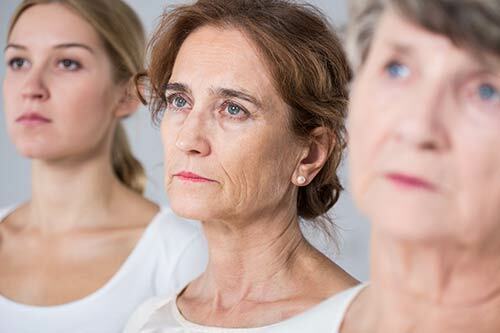 PQQ decline rates by age have been less studied and for that reason, even though it would be expected to closely correlate, fewer studies of the pattern exist. This is because it was somewhat recently discovered. CoQ10 was discovered nearly 60 years ago – in 1957 – by Dr. Fred Crane at the University of Wisconsin. When was PQQ discovered? Not until 1979 by J.G. Hauge, a researcher who coincidentally worked alongside Dr. Crane prior to that, as evidenced by at least one medical paper which includes both names as authors some 20+ years before PQQ was discovered (4). With a head start of more than two decades of research, it’s no surprise that Q10 is a household term in America while most people haven’t heard of the other. 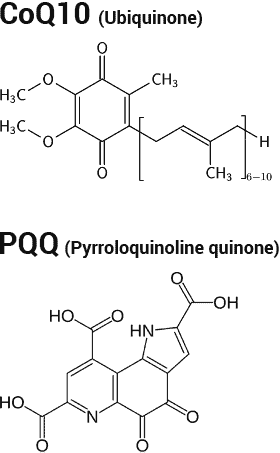 Even though PQQ was first known about in 1979, its limelight was largely eclipsed by that other quinone, ubiquinone and ubiquinol (which are the oxidized and reduced forms of CoQ10, respectively). 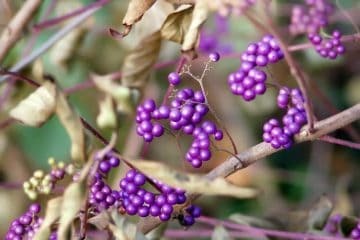 The momentum of scientific research was so focused on those, it wasn’t really until the past two decades when its cousin, pyrroloquinoline quinone, got the attention that it too deserved. In fact, it got almost no mainstream media attention until the early 00’s; “Japanese Find 1st New Vitamin in 55 Years; Experiments Show It Could Affect Fertility” was a headline featured in the Washington Post in 2003 (5). That same year Nature Magazine also proposed classifying it as a new vitamin. Is PQQ a vitamin? No, at least it hasn’t been declared such by any governmental body. For now it is just a phytonutrient with some vitamin-like properties. 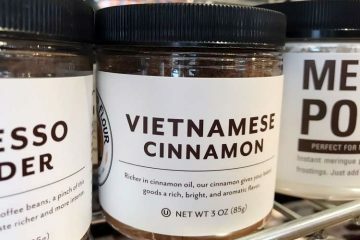 In other words, it’s still in the same category as most other things you won’t find listed on a nutrition facts food label. Things unrecognized for health benefits or not considered essentially necessary for life. 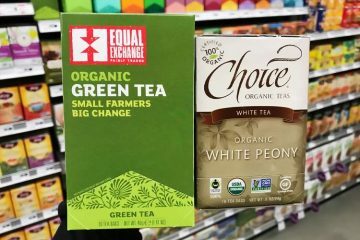 This isn’t some competition though, as research has suggested not just one – but both of these – might offer health benefits for humans. Since both are similar compounds and part of the energy production process in mitochondria, it makes sense why there are overlapping benefits suggested by research for each. But since CoQ10 has had exponentially more studies, that may be the best place to look for clues of possible benefits. For starters, if your cells stopped producing CoQ10 altogether, you wouldn’t be alive. This holds true not only for humans, but all animals, as it is an essential component of healthy mitochondrial function (6) (7). As you saw in the chart above, our body’s natural production declines as we get older. PQQ production by age is believed to possibly follow a similar trend. That decline of Q10 levels is naturally occurring but statin drugs – which are used to lower cholesterol – pose an additional threat to those levels. Why? Because one of the side effects of those drugs is that it reduces Q10 levels in the blood plasma by almost 40%. This is not new information, but rather has been known for at least around 25 years (8). On the NIH website, we were unable to find any published research which evaluated statin’s side effects on PQQ levels. Given that statins are a lipid lowering agent, it certainly seems possible it may also effect it, but no research we are aware of has evaluated that. Given the vital organs where both Q10 and PQQ are most heavily concentrated, it’s logical as to why many of the suspected benefits correspond to them. For many forms of heart disease, there is a correlation of lower CoQ10 levels being detected (9). Of course it’s important to remember correlation does not equal causation. If a heart was not healthy, it would make perfect sense why any or even all nutrient and phytonutrient levels would be below average in it. That said, much of the research using supplementation with heart failure patients has suggested there might be a therapeutic benefit (9). Obviously no conclusions have been made yet, but many of the studies so far at least point to that as being a possibility. For example, in 2014 the The European Journal of Heart Failure published one of the most extensive studies (10). A total of 420 patients with moderate to severe heart failure participated in the 2 year trial. They were randomly assigned either a placebo or a 100 mg dosage of CoQ10 supplementation, which was taken 3 times per day (300 mg per day total). Versus the placebo, during the trial those patients on supplementation were half as likely to have a major adverse cardiac event. At the end of the 2 years, they were also found to have higher improvements in heart function. Unfortunately PQQ has only a small fraction of studies in comparison and those specifically for cardiovascular health involve animal subjects rather than humans. Perhaps the most cited is a rodent study published in 2004, which looked at the effect PQQ had on myocardial infarction (heart attacks) in rats. The very last statement on the study’s abstract was “We conclude that PQQ, which appears to act as a free radical scavenger in ischemic myocardium, is a highly effective cardioprotective agent” (11). Over the years numerous research has suggested that Coenzyme Q10 demonstrates antioxidant activity. One paper described it as “one of the most significant” lipid or fat-soluble antioxidants, which at least in vitro (test tube), prevents the generation of free radicals and modifications of lipids, DNA, and proteins (12). What does PQQ do for you? Does it demonstrate the potential of being an antioxidant? Although it has far fewer studies, many suggest it might. Take the 2015 published study, which looked at non-pathogenic (or harmless) probiotics which were genetically modified to produce PQQ (13). The strain was mutaflor and the modified form of it they called ECN-5 in the study (14). These modified bacteria were then placed within the rats experiencing oxidative stress and hyperlipidemia (too much fats in the blood). For those rats, the bacteria produced a supplemental PQQ dosage within their bodies. EcN-5 prevented hepatic oxidative stress against rotenone. EcN-5 reduced oxidative stress and restored lipid profile in naturally ageing rats. EcN-5 increased mitochondrial biogenesis and metabolism in naturally ageing rats. EcN-5 can serve as nutritive supplement to delay ageing. Rotenone is a pesticide and the hepatic stress is referencing the pesticide’s side effects on the livers of the rats. Mitochondrial biogenesis is just the name for the process by which cells make new mitochondria. Obviously those are pretty bold claims suggested by the study. We reiterate the fact that this was only a small preliminary rat study and concluding any possible human health benefits from it would be premature. By the way you can’t buy the modified bacteria from this study, sorry! Among the very few human studies to date, the evaluation of potential PQQ benefits and side effects seem to be most focused on brain health. Published in 2009, this particular study was exciting because it was placebo controlled and double-blind (15). The purpose of the study was to find out if PQQ might improve cognitive function in adults, ranging in age from 45 to 65. 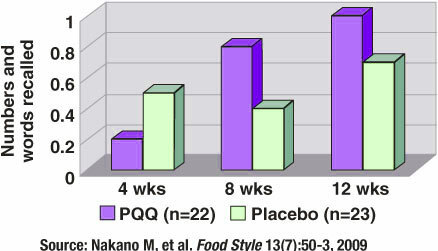 Over a period of 12 weeks, the non-placebo groups consumed food sources of PQQ or those containing both PQQ and CoQ10. At first glance, this sounds as if they’re talking about natural foods high in PQQ content. Unfortunately that’s not the case but rather, they were receiving 20 mg of PQQ (plus 300 mg of CoQ10 for one group) which apparently, was hidden/blended in the sources of food provided so each group wouldn’t know what they were getting, if anything. Those receiving the PQQ foods demonstrated much higher ability in recalling 7 words immediately after a repeat. Is PQQ safe? That was another goal of this study and they concluded that there were no adverse side effects with the dosages used. Let’s look at the natural dietary sources which have the highest concentrations of Pyrroloquinoline quinone. The following tables were compiled using information from two studies (16) (17). Please keep in mind this list does not represent the top 20 foods high in PQQ. 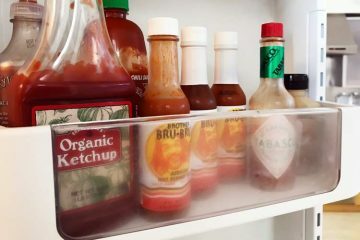 Rather this study which was done in Japan only sought to measure the amounts found in 26 commonly consumed foods (the top 20 of which are above). Even if those aren’t the absolute best food sources, it does give you a good idea for patterns of which ingredients contain higher amounts. For example, with most of the soy related items near the top, we can probably conclude it’s an above-average PQQ dietary source. As with the food, we stress these drinks were only selected because they are commonly consumed in Japan. It is not a representation of the top beverage sources. The study suggested that all vegetables and fruit contain at least some amount of PQQ. As far as animal sources, the same theory – all contain some – is probably true, but the amounts are substantially less, as suggested by the second study, which looked at eggs, skim milk, and milk. Since the levels in human tissues and body fluids are 5-10 times lower than those found in foods, it is probably that PQQ existing in human tissues is derived, at least partly, from the diet. 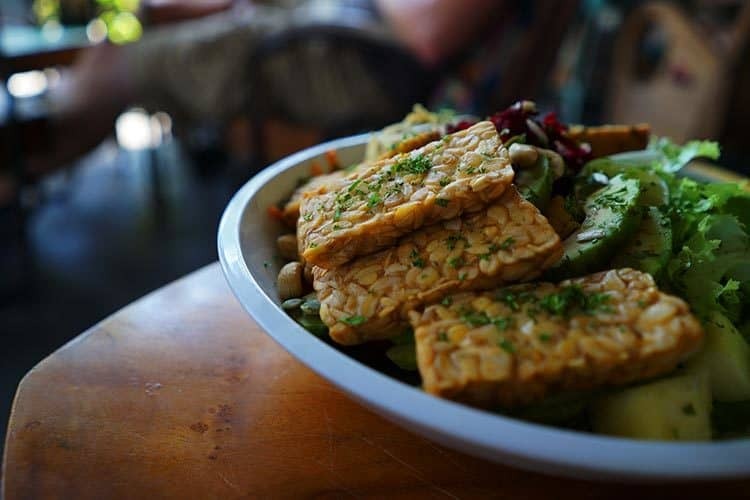 Given our name Superfoodly, as you can probably guess we favor dietary sources first and foremost for obtaining nutrients. However there are a few exceptions we make and this is one. Why? Because even the foods richest in PQQ really only have a negligible amount. Take the median of that 5-10 range (which is 7.5) and calculate out how much food you would need to consume to even possibly raise your PQQ levels by a double-digit percentage. Take a human that weighs 150 lbs. Using that 7.5x figure, the amount of PQQ in 20 lbs of food = same amount of PQQ in 150 lb human. That would mean to consume 25% more PQQ than your body’s natural level, you would need to eat 10 lbs of food! But it gets worse. What is the half life of PQQ? Only 3 to 5 hours (18). That means if you wanted to increase your PQQ levels by 25% around the clock, you would need to be consuming upwards of 30 to 60 lbs of food per day! Notice we use the word consume 25% more, not increase 25%. 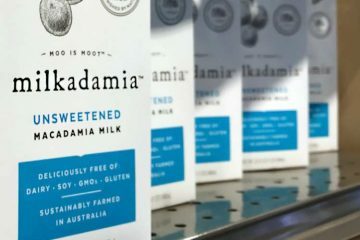 To increase plasma levels by 25% from the median PQQ foods, you likely would need to consume far greater amounts since only a fraction may be absorbed during the digestive process. Furthermore, if the amount PQQ declines with age even loosely correlates with CoQ10, one would need to increase by more than 25% just to offset those amounts. By age 50 the heart already has around a 40% decrease in natural CoQ10 levels. We actually discourage most dietary supplements as being pointless, since a well-balanced diet can often achieve the same effect (and for a lot less money). Though in the case of CoQ10 and PQQ supplements, we take them. Are health benefits proven for them in humans? No. Is PQQ good for you? That’s not proven either. But just as we were enthusiastic on CoQ10 many years before it went mainstream, we think the preliminary scientific studies so far have suggested PQQ might be found in the future to be beneficial. And since the studies say PQQ is safe when taken according to the manufacturer’s dosage listed on the bottle, we figure it’s worth the gamble for us. We take a dosage of 20 mg, from once to three times per day, evenly spread out. Since there are 30 pills per bottle, that means buying a few at a time. Since PQQ is heat stable and water soluble, it’s quite versatile as to how can you take it. 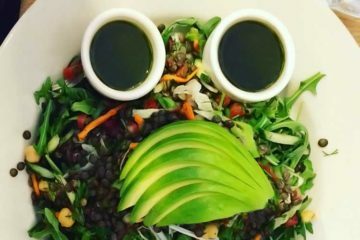 Are Avocados Good For You If Toxic To Your DNA? Great article they now have lots of research to back what is in the article. Unfortunately some of the sources mentioned of PQQ are high in glyphosate if you do not get organic you will be doing more harm then good especially with soy products.